On November 5th, I attended a party at the Juicy Couture Bleecker Street store, in collaboration with Harper's Bazaar, to take a look at the Bird by Juicy Couture fall collection. Guests enjoyed champagne, chocolate and shopping. 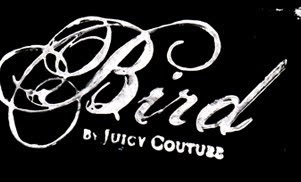 Bird by Juicy Couture is priced 30% higher than Juicy's store line. It is currently only available at juicycouture.com, select Juicy stores and Bergdorf Goodman. Pamela Skaist-Levy and Gela Nash-Taylor refer to Bird as the "older sister to the Juicy girl". This line is definitely more my style. Not only is it edgy and mature, but the fall palette consists of black, grey and a touch of cream (I always welcome black and grey into my wardrobe). The line consists of a lot of layering pieces, including cashmere sweaters, a screen printed dress, leather motorcycle jacket, cropped leather jacket and blazer with ruffles. Enjoy 30% off for the Juicy Friends & Family sale! November 11-18, 2009. Print this out to shop in-store or use promo code JCFFNOV to shop online (Flyer attached - sorry this excludes Bird).